Limited registration spots are available in each age group for 2018, register early to get your spot. All registrations must be completed online. If access to credit card is not available please contact us. In an effort to help fundraise for the Mini Rugby we are asking all Mini members with the involvement of their parent or guardian to help with the collection of unwanted, unused, or unneeded Canadian Tire Money. Mini members are encouraged to collect Canadian Tire Money at home and from family or friends. 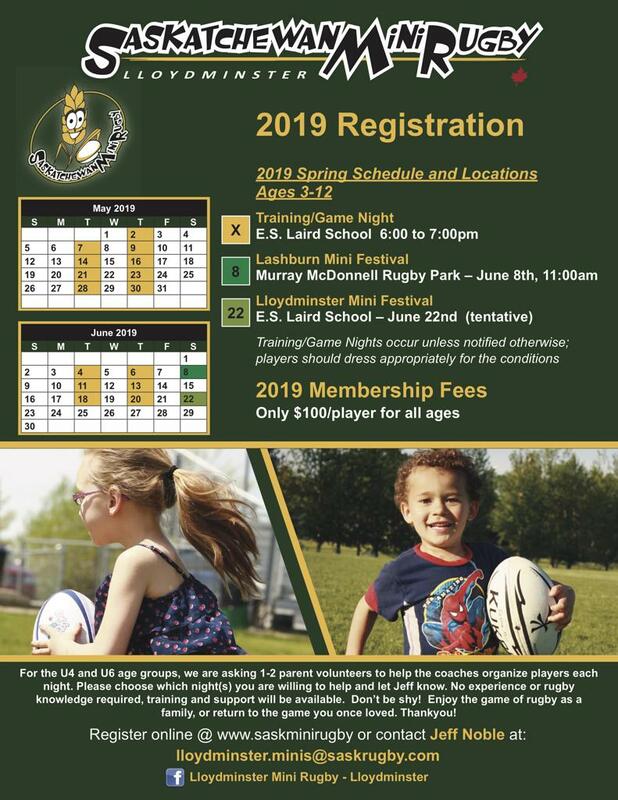 If you haven't yet, join our Facebook group "Saskatchewan Mini Rugby - Lloydminster" for the latest updates, notifications, and photos.